Although we are in the final stages of the football season, it’s anything but going through the motions as far as I’m concerned. In fact it’s very much an increase in interest and especially so going into this game. The Welsh Cup is my favourite competition, something that goes back to when I was a child, and I always look forward to the draw and of course, the games themselves. Prior to kick-off at the neutral venue, I did some filming and you can see the result of that below. In addition, following the final whistle, I did a couple of interviews for TNS TV that are also embedded below. 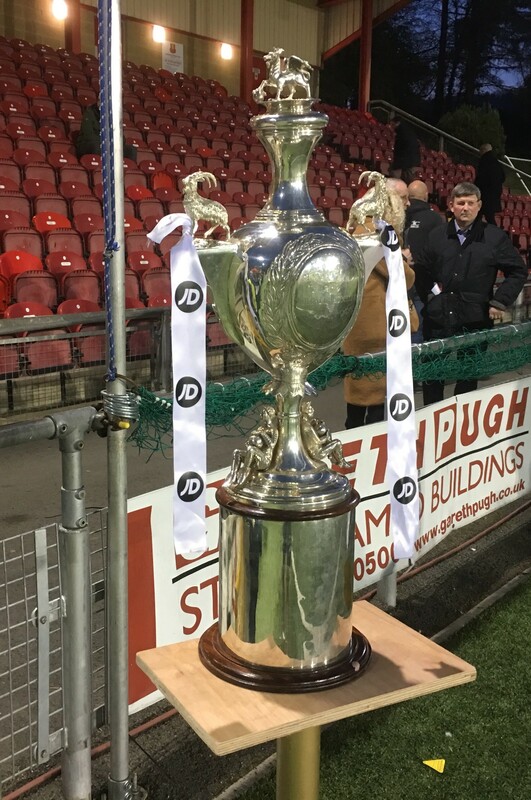 I’m looking forward very much now to the final of the Welsh Cup, which is the first weekend in May and will be against Connah’s Quay Nomads. Follow my blog updates via Facebook or Twitter.